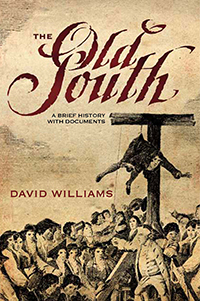 THE OLD SOUTH: A BRIEF HISTORY WITH DOCUMENTS sheds new light on the people and events that shaped the South. It deftly shows how the South’s diverse people interacted with each other in ways that affect the region and the nation to this day. Each chapter is accompanied by historical documents that illuminate the South’s people in intimate and telling ways. The story tells of first contacts between area natives and Europeans, resulting in a clash of cultures that transformed societies. Subsequent struggles for land and power, strategies to subdue and enslave, and efforts to resist and survive laid the foundations of what would become a distinct region called the South. During the American Revolution, that region passed out of the British Empire, birthed in a conflict that was as much a civil war as a war for independence, especially for Southerners. Over the following decades, Native Americans were relentlessly driven out as the South moved west, establishing an agriculturally based society and economy dominated by a slaveholding minority. Facing pressures against them from within the South as well as without, slaveholders sought to make slavery perpetual in a war that pitted not only North against South, but also Southerners against each other. Barely a year into the war, an Atlanta newspaper wrote: “If we are defeated, it will be by the people at home.” And so the Confederacy was defeated, not only by Union armies—in which nearly half a million Southern men served—but also by home-front opposition. This title is available in e-book format at amazon.com and barnesandnoble.com.